The Lagonda ‘Vision Concept’ is a near future study that previews the design language and it could potentially be seen in production Lagonda models as soon as 2021. Alongside the new concept, two scale models will be displayed, one coupe concept and one SUV concept, to illustrate how the Lagonda design language could be adapted for the future. 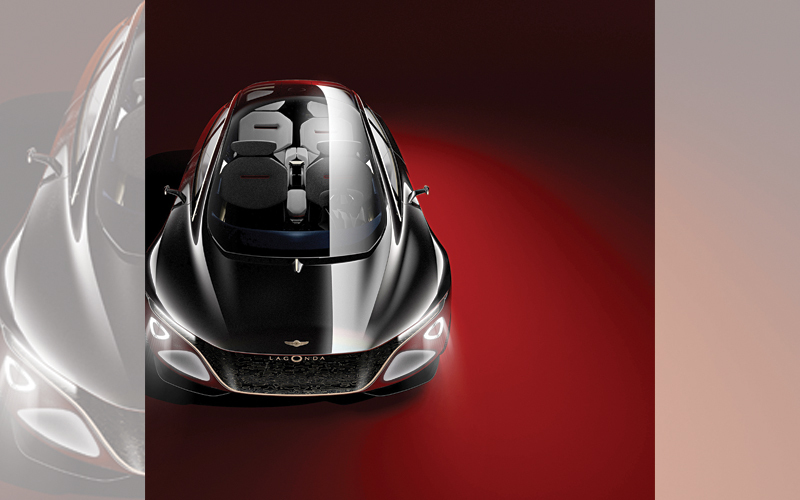 The Vision Concept showcases Lagonda design ingenuity. Both far shorter and lower than traditional limousines, the exceptional space efficiency that has been achieved by its radical design that means there is room inside for four adults, each of two metres height or more, to stretch out in luxurious comfort. Far more than any orthodox design, it was designed from the inside-out because that is what the architecture allows. With no need to package a vast internal combustion engine, gearbox and transmission, Lagonda’s designers could optimise the interior down to the smallest detail and then build up the exterior of the car around it. The concept car doesn’t have a bonnet because as it is not required. But it still needs to travel through the air and to do so as efficiently as possible to preserve battery life, which is why its shape is so sleek and dynamic. For the interior, the team took further delight in defying convention, turning to the most traditional of households for the most visionary thinking. The work of renowned English craftsman David Snowdon, has fascinated Aston Martin EVP and Chief Creative Officer, Marek Reichman, for years. 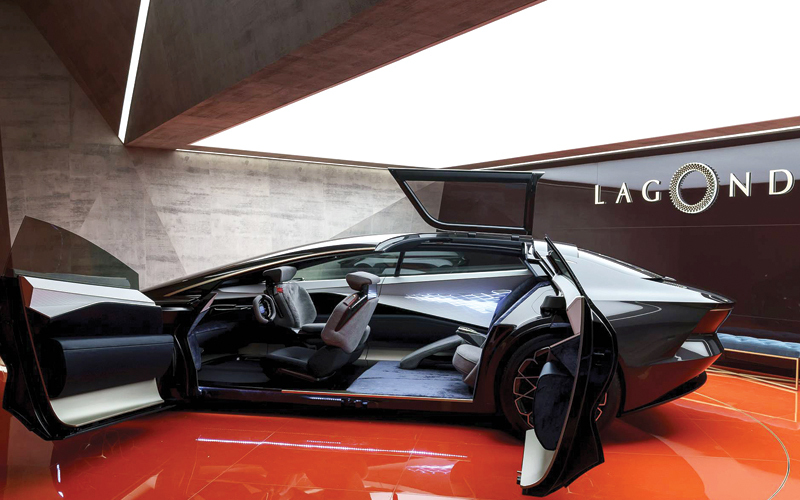 His ability to marry materials, some very modern, others very established in ways that are never predictable held the key to the interior of the Lagonda Vision Concept. 360-degree awareness of the world around it, but also be fully connected to it, allowing occupants unprecedented access to bespoke concierge services and a level of connectivity and cyber-security few enjoy in their own homes, let along their cars.